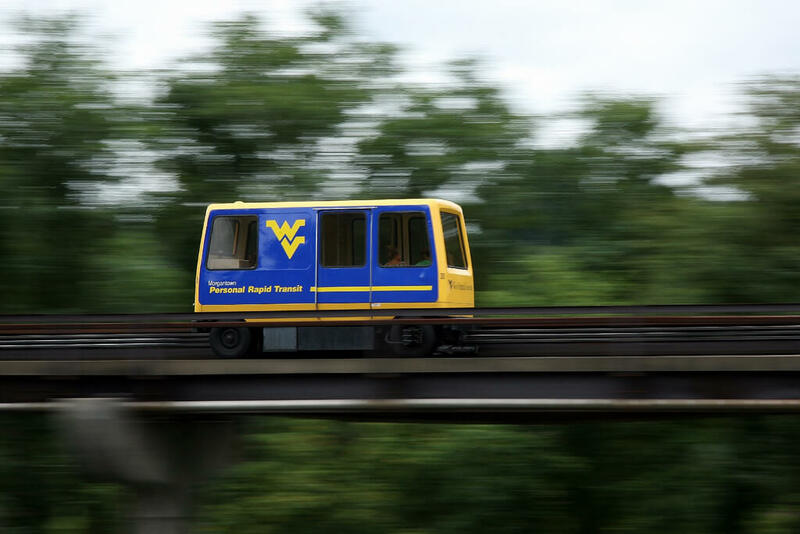 The Personal Rapid Transit (PRT) system is a unique and easy-to-use transportation solution for WVU students, faculty, staff, and the Morgantown community. There are five stations: Walnut Street Downtown; Beechurst Avenue for the Downtown campus; Engineering Sciences; the Evansdale Residential Complex (Towers); and Health Sciences. Powered by electric motors, the computer-driven cars arrive at your station within five minutes after you swipe your Mountaineer Card or employee ID. Individuals may ride the PRT for a low cost of $0.50 each way.